There’s new hope in the fight against Huntington’s disease. A group of researchers that includes scientists from the U.S. Department of Energy’s Lawrence Berkeley National Laboratory (Berkeley Lab) have designed a compound that suppresses symptoms of the devastating disease in mice. The compound is a synthetic antioxidant that targets mitochondria, an organelle within cells that serves as a cell’s power plant. Oxidative damage to mitochondria is implicated in many neurodegenerative diseases including Alzheimer’s, Parkinson’s, and Huntington’s. The scientists administered the synthetic antioxidant, called XJB-5-131, to mice that have a genetic mutation that triggers Huntington’s disease. The compound improved mitochondrial function and enhanced the survival of neurons. It also inhibited weight loss and stopped the decline of motor skills, among other benefits. In short, the Huntington’s mice looked and behaved like normal mice. Based on their findings, the scientists believe that XJB-5-131 is a promising therapeutic compound that deserves further investigation as a way to fight neurodegenerative diseases. They report their research in a paper that appears online Nov. 1 in the journal Cell Reports. “The compound was very successful. More research is needed, but it has the real potential to make an impact in treating neurodegenerative disorders,” says Cynthia McMurray of Berkeley Lab’s Life Sciences Division. She conducted the research with other Berkeley Lab researchers, including Zhiyin Xun, and scientists from the University of Pittsburgh. Huntington’s disease is a genetic disorder in which neurons in certain parts of the brain waste away. Symptoms of the disease typically appear in mid-life. These include loss of muscle coordination and cognitive decline. There is no cure. Currently, patients are prescribed antidepressants or compounds that reduce the loss of motor coordination, neither of which delays the disease’s progression. Another intriguing line of defense could be in the form of therapies that protect mitochondria from chemically reactive molecules that contain oxygen. These molecules, called reactive oxygen species, inflict oxidative damage on mitochondria that disrupts their function and leads to cell death. But defending mitochondria from reactive oxygen species is a tall order. That’s because mitochondria are both the main target of these molecules, and a cell’s primary source of them. In other words, mitochondria produce the very thing that damages them. Researchers have studied whether dietary supplements of natural antioxidants such as vitamin E and coenzyme Q can mitigate the harmful effects of reactive oxygen species on mitochondria. Natural antioxidants don’t target specific tissue within the body, however. And they’ve been shown to yield only marginal benefits in human clinical trials. These lackluster results have driven scientists to develop synthetic antioxidants that specifically target mitochondria. A few years ago, University of Pittsburgh chemist Peter Wipf synthesized an antioxidant called XJB-5-131 that zeroes in on bacterial membranes, which are very similar to mitochondrial membranes. He also found that this compound dramatically improves cellular survival. But its effectiveness against neurodegenerative diseases was unknown. That’s where Cynthia McMurray’s lab comes in. Several years ago, her team began exploring ways to study a genetic mutation that causes Huntington’s disease. They’ve since developed a mouse model with this mutation that enables the scientists to evaluate how the disease affects mice, which is a fairly good proxy for humans. In addition, Zhiyin Xun learned how to isolate nerve terminals and mitochondria from a mouse’s brain, enabling the scientists to study the organelle’s role in the disease. The scientists first injected Huntington’s mice with XJB-5-131 and tested the mice’s motor skills. In one test, the mice were placed on a spinning rotarod, which forces them to balance like a lumberjack at a log rolling competition. The non-treated Huntington’s mice performed progressively worse as they aged. The XJB-treated Huntingon’s mice performed as well as normal mice over the same period. In another test, grip strength was measured by prompting the mice to hang on a bar for 30 seconds. Almost all of the non-treated Huntington’s mice failed the test, while 85 percent of the XJB-treated Huntington’s mice passed the test. The treatment also stopped weight loss in Huntington’s mice, which is another hallmark of the disease. “We saw improvements across the board. The difference was amazing. XJB prevented the onset of weight loss and the decline in motor skills,” says McMurray. Next, the researchers removed neurons from the Huntington’s mice and cultured the cells in the presence of XJB-5-131. 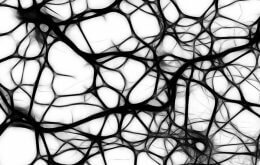 They found that XJB-5-131 significantly improved the survival of neuronal cultures compared to untreated neuronal cultures. Xun and colleagues also studied the impacts of the compound on the mice’s mitochondrial DNA. They discovered that XJB-5-131 dramatically lowered the number of lesions on the DNA, which is a sign of oxidative damage. They also tallied the number of mitochondrial DNA copies, which plummets in diseased mice. This number was restored back to normal in XJB-treated mice. In addition, Xun isolated nerve terminals from the Huntington mice’s striatum and cerebral cortex, two parts of the brain that are affected by Huntington’s disease. She found that XJB-5-131 significantly improved the ability of the mitochondria within these nerve terminals to respond to stress. She also exposed mitochondria to a chemical that induces the formation of reactive oxygen species. As expected, this impaired mitochondrial function. But when the chemical was used along with XJB-5-131, mitochondrial function recovered. Xun is now working to determine how exactly the compound rescues mitochondria from oxidative damage. The scientists also want to test the effectiveness of several promising derivatives. And they believe that clinical trials may not be far off given their initial success and the dire nature of the disease. “Huntington’s is a desperate disorder, so we are very eager to help find therapies that can stop its progression,” says McMurray. This research was supported by the National Institutes of Health. The paper, “Targeting of XJB-5-131 to Mitochondria Suppresses Oxidative DNA Damage and Motor Decline in a Mouse Model of Huntington’s Disease,” will appear in the Nov. 29, 2012 issue of the journal Cell Reports. It can be found online here. Learn more about the research conducted in Cynthia McMurray’s lab.